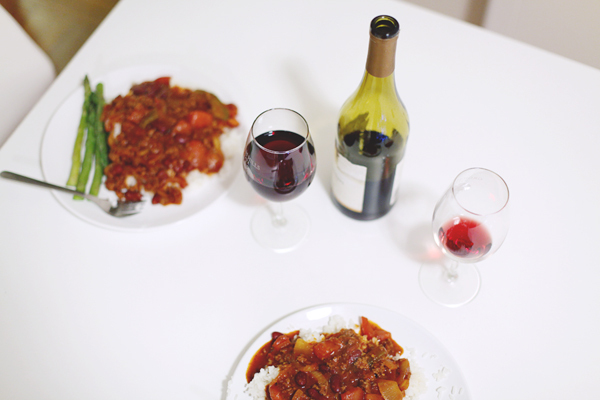 Stayed in last night and cooked chili. It was cold and rainy out, so it felt extra nice to hang out in the kitchen in pajamas, watching the rain. If you’re in the kitchen and a problem occurs in the sink,emergency plumber in parramatta is ready to help you. They are quick, reliable and are available 24/7. Getting ready for Christmas. 2 more days! your photos are so luminous!! 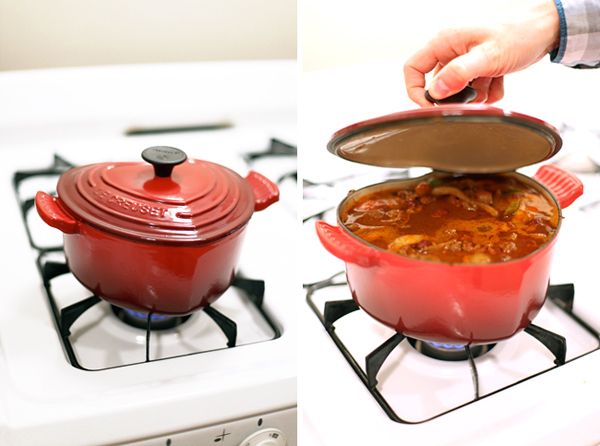 You know it’s gotta taste better when it comes from a heart-shaped le creuset pot. Also, your stove top is immaculate!